Thank you to those who have nominated themselves to offer their services for the steering committee. We are excited to have new individuals add their talents to help guide the direction of the OWA. As a reminder, nominations can come from the floor at the General Business Meeting but that person needs to be in attendance at that time. Please review the Policies and Procedures that are posted on the web site in the Forum (Sept. 12 entry titled Policies and Procedures). We will be voting to adopt the new Policies and Procedures and on the nominees to the Steering Committee at the General Meeting on October 19 at Shaw Contract Group in San Francisco. Please think about: what programs you would like to have next year; if you have an office to host a meeting next year or this years’ Holiday Party in December and email me. Judy Rowe's kitchen will be in construction and her house is unavailable for the party this year. If you have a home or office that can accommodate 40 – 45 people please email me. Over 35 offices participated in the OWA exhibition held at ARCH, an architect's supply store in San Fransisco. Beautiful work, stimulating conversation, great company, fine food and entertainment were enjoyed by all at the September 7th reception. OWA Women Designers: Urban Vitality showcases a range of work by women design professionals in the Bay Area, highlighting their urban design projects and demonstrating the impact on form, movement, growth, and environment in the city. The exhibition reveals specific sustainable design projects that reflect sensitive and elegant responses to a design problem. Furthermore, it reveals the community’s problem-solving challenges, highlighting the way creative designs are inspired responses in balance with nature and in harmony with the built environment. The exhibition features work by landscape architects, city planners, designers, and architects. The exhibition will run through Sept 30th. Approximately 12 people attended a presentation provided by Ecological Engineer Kerry McWalter, from AECOM formerly EDAW, discussing and showing slides of Constructed Wetlands of California. 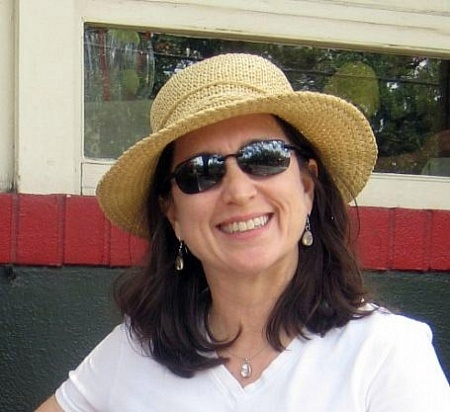 My name is Susan Aitken and I would like to serve on the OWA Steering Committee. I am a licensed architect in California, a graduate of Cal Poly, San Luis Obispo, and a Partner in Hamilton + Aitken Architects in San Francisco. I’ve been an OWA member since 1984 (or sometime during that decade). Looking back on my career to date, I owe a lot to sister OWA members whose advice and programs provided me with lots of inspiration and skill development in my early career (such as how to pass the 12 hour design exam). Somehow I missed a few meetings (1992-2009 but I faithfully read the newsletters) Last year I reconnected with OWA at the Westerbeke Retreat, and realized what a great organization it continues to be. I would like the opportunity to bring my experiences and interests to the collective, to be involved in programs that encourage the younger members as they move through their careers, as well as planning events that spark the professional collaborations that support us all. Ms. Swabacker brings more than 30 years specialized expertise in the architectural design and construction management of hospitality, commercial and residential sectors. firm managed the tenant improvement work for the Tanforan Shopping Center expansion in 2006. She began her career with the US Navy where she was involved with numerous housing renovations on Naval bases, as well as governmental overviews and inter-agency coordination between the Navy and other military departments. She has been privileged to work with several outstanding Architectural offices in the Bay Area. •	determining how to increase the number of new members, particularly those under age 35 into the organization. My name is Eunide “Dede” Tave. 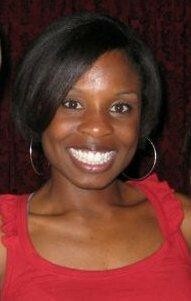 I am a Graduate student at the Academy of Art University studying Interior Architecture and Design. For the past five years I have been working in the non-profit field, organizing meetings and conferences from a small scale to very large sized events. I continue to have a great interest in coordinating events. When I am not in class, I volunteer for different organizations such as Architecture for Humanity. Also, one day a week I intern at Sloan Miyasato Showroom at the San Francisco Design Center. My efforts are focused on staying current with the changes in the architectural and design industry. With my passion for design, I believe I can offer fresh and innovative insight to the steering committee from a student’s perspective entering the field. My strengths in meeting organization can be useful to the OWA. I feel that the OWA provides a non judgmental platform where women can discuss new and current ideas, industry trends and standards. Joanne Chow Winship has retired from her project management position with the City of San Francisco and is now taking an architectural photography course through December 2010. She will have a number of class assignments to photograph residential, one, two, three or more storied buildings, landscapes, and interiors. If you have projects in the Bay Area that you would like photographed, please contact her at 415-752-1404 or via email at JCWinship@gmail.com. Proposals to promote OWA Mission, to be discussed at the next business meeting, October 19. The Steering Committee would like a good discussion on these items to receive direction from the membership. 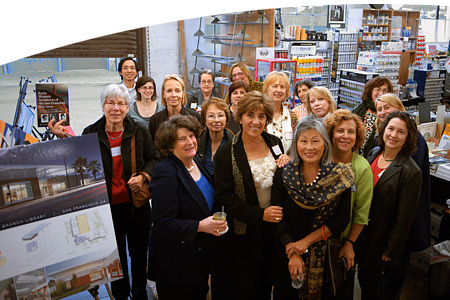 Scholarships at local design schools such as UC Berkeley, UC Extension, and other local institutions to promote the future visibility, viability of OWA and help future young women professionals. Start an annual field trip to visit buildings/homes designed by members. Annual field trip would rent at least one bus and request at least 2 high school potential candidates from approx. 50 Bay Area schools. Host a lunch at one of the sites. 3) Financial or volunteer Contributions to Building Bridges Child Development Center . Building Bridges is a non profit organization serving low income families in the City of Oakland. Financial Contributions or volunteer labor is needed in October to help build an Outdoor Discovery Area by the start of the program on January 1, 20011. The space was designed on a pro bono basis by Golden Associates, Landscape Architects through “the one percent” program. All contributions and volunteer efforts are promoted on “the one percent” web site and provide a needed service to single mothers and low income families in Oakland. Any level of financial contributions is welcome. 2011 OWA budget request: $1500 maximum. INTENT: OWA members read and discuss three books linking women & architecture and share the books with local libraries. CONCEPT: Small groups (minimum 5, maximum 7 OWA members and 1 potential member) to meet three times a year: January, March, and November to read and discuss books about both women and architecture (the profession, the built world, the history, the education, the theory, and the cultural impact). OWA’s Book Circles will donate all books to local libraries at the end of the year and publish the book titles and names of libraries receiving them in the San Francisco Chronicle with a short narrative about OWA’s objectives and website. 5) Workshops to meet Continuing Educational Requirement such as ADA courses. 6) Another Exhibition of Member's work? Looking forward to seeing you all at Westerbeke Retreat in the next two weeks! Please read the Strength Finder 2.0 by Rath and conduct the on line survey to review your results to be discussed at the retreat!